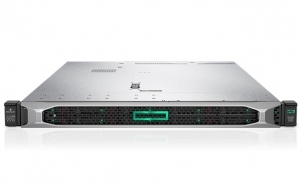 • HPE ProLiant DL360 Gen10 Server supports industry-standard technology leveraging the Intel Xeon Scalable processor with up to 28 cores, 12G SAS and 3.0 TB of 2666 MT/s HPE DDR4 SmartMemory. • With support for up to 12 NVDIMMs per chassis and 2X capacity of first-generation HPE NVDIMMs, HPE ProLiant DL360 Gen10 Server delivers up to 192 GB per system. • HPE Persistent Memory, the world’s first non-volatile DIMM (NVDIMM) optimized on HPE ProLiant, offers up to 20X reduction in database restart time preserving maximum uptime. • HPE iLO 5 enables the world’s most secure industry standard servers with HPE Silicon Root of Trust technology to protect your servers from attacks, detect potential intrusions and recover your essential server firmware securely. • Millions of lines of firmware code run before the server OS boots and with Runtime Firmware Verification, enabled by HPE iLO Advanced Premium Security Edition, the server firmware is checked every 24 hours verifying validity and credibility of essential system firmware. • Secure Recovery allows server firmware to roll back to the last known good state or factory settings after detection of compromised code. • Additional security options are available with Trusted Platform Module (TPM) to prevent unauthorized access to server and securely stores artifacts used to authenticate the server platforms while the Intrusion Detection Kit logs and alerts when the server hood is removed. 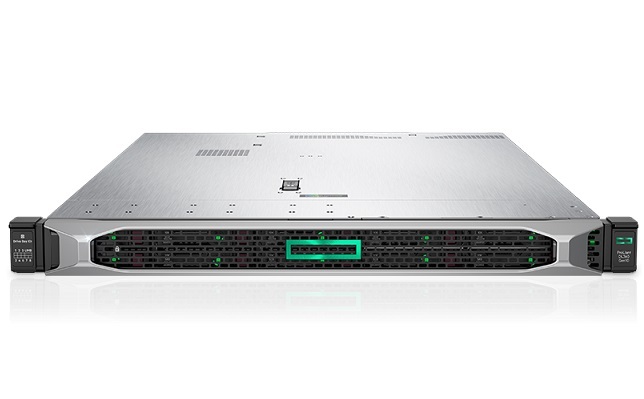 • HPE ProLiant DL360 Gen10 Server comes with a complete set of services offered by HPE Pointnext, delivering confidence, reducing risk, and helping customers realize agility and stability. • Services from HPE Pointnext simplifies the stages of the IT journey. Advisory and Transformation Services professionals understand customer challenges and design an enhanced solution. Professional Services enables rapid deployment of solutions and Operational Services provides ongoing support. • Services provided under Operational Services include - HPE Flexible Capacity, HPE Datacenter Care, HPE Infrastructure Automation, HPE Campus Care, HPE Proactive Services and multi-vendor coverage. • HPE IT investment solutions help you transform to a digital business with IT economics that align to your business goals. • Processor: Intel Xeon-S 4114 10-Core (2.20GHz 13.75MB L3 Cache) Kit. Single socket populated.